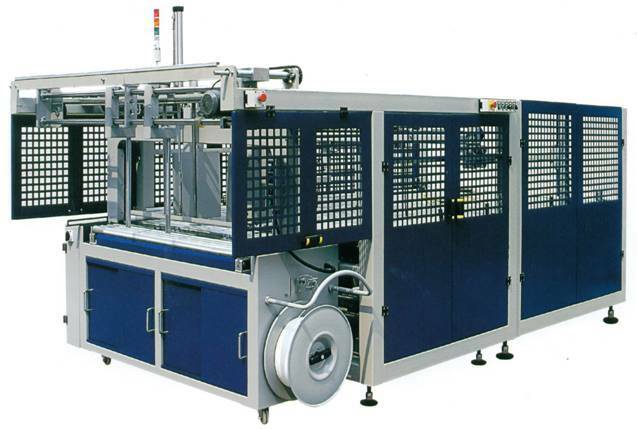 Fully Automatic Folding Gluing Machine is composed of feeding unit, gluing unit and auto counting stacker. This machine has frequency variation, PLC control and touch-screen entering datas.This machine can do automatic feeding, auto folding, auto counting as well as stacking output which are easy to operate. The average gluing speed is 120s/m, and the max. speed is 150 s/m. 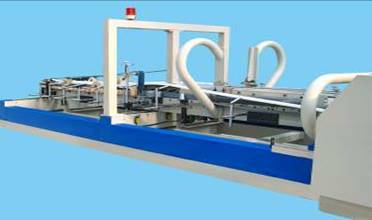 1. adopts lead-edge vaccum feeding, which is accurate and reliable. 2. there are 2 sets of creasing wheels and one set press wheel, through recreasing to make boards folding more accurate and avoid inclined while the boards being transported from feeding unit to folding unit. 3. adopts advanced electromagnetic clutch and electromagnetic brake system, so that the feeding unit can be separately controlled, which is convenient for operation. 4. 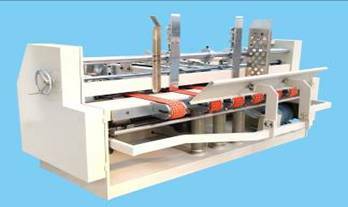 Paper-feeding uses lifting paper-delivery rack to enlarge surface of boards and belts as well as increase the friction force so that it will be more suitable for the feeding of bended boards, hard boards and mill finish boards. 5. The height of press wheel is adjustable, apply to thickness <?xml:namespace prefix = st1 />2mm~10mm. 6. It is connected to folding unit, frequency variation, with feeding speed of 0～150s/m. 7. The position of front baffle and transmission belt can be right and left adjusted. 1. Main motor adopts frequency variation, without noise, flexible and stable speed adjustment. 3.Using stainless steel to transfer the glue enables even gluing, no failure and glue saving. 4.Equip with paper-rectifying device and press-rectifying device in the folding unit. 8.Electrically adjust the right and left arches. 1. It adopts individual frequency variation control stacking speed: 0-140m. 2. PLC program control and touch-screen digital control system enable easy operation, reliable action, non-stop input, auto counting and stacking, and accurate output. 3. Using belt to transfer the boxes, stacking in order; flapping the boxes by the vertical push plate, flapping has a function of well co rrection and small variation. 4. Pneumatically counting and outputting, PLC point control, reliable, accurate and rapid. 5. 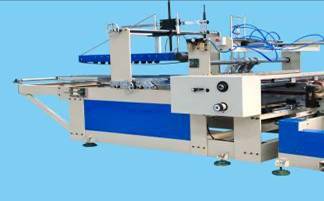 Using synchronal-pressing between bottom transmission belt and upper pressing belt, which ensures the final products can be firmly glued, and output in order without any displace. The stacking height is 8-25 sheets of paper. All electrical components are adopted from abroad. The Assembly Line is a full automatic and integrative production line with motor, power and gas. The Machine consists of 3 parts. crossed steering device, rowed transportation device and automatic strapping device. Paperboard can be turned 90 degrees in the machine. Paperboard can be flattened in the machine.